EasyJet Holidays promotion code 2018 - up to £100 discount! Cheap return flights from the United Kingdom to Canada from £178! EasyJet Holidays promotion code 2018 – up to £100 discount! 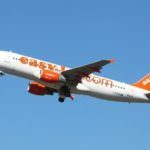 Europe´s leading low-cost airline EasyJet is now offering great way to save when booking your holiday package with this British company based at London Luton airport. You can now save up to £100 discount just by using this EasyJet Holidays promotion code 2018. This voucher is working on all holiday packages in scope of EasyJet when booking at least 3-star hotel. However to apply this promo code there se set minimum spend £1100. How to apply EasyJet Holidays promotion code 2018: Once you select your flight hotel package just enter below discount code into “discount code” box. You will find separate “enter promotion code” box on right side in the last step of the booking just before entering payment information. Simply enter your EasyJet discount code and click “Apply”. Your holiday package with EasyJet will be instantly discounted. As mentioned the latest date you can use this voucher code is 20th of February 2018. and for travel until 31st of October 2018. This EasyJet Holidays promo code works to any destination within the network of the airline. The discount is calcullated off base fare. (excluding taxes and fees also as per our below booking sample). Book your discounted EasyJet flights to European holiday destinations such as Grand Canaria, Greece, Turkey, France and more. Booking sample of successfully applies EasyJet Holidays promotion code 2018 below. In this case you would be flying from London to Grand Canaria on 27th of July. Your return flight from Spain back to the UK would be on 3rd of August. You would easily save 100 just by using this valid EasyJet Holidays discount code. You would pay total £1284.87.